Schneider Rothman Intellectual Property Law Group has obtained a settlement for a client who claimed patent infringement against one of the nation’s largest media companies and against publishers of electronic games. As part of the settlement, one of the defendants, UClick, now displays on Web pages for “Jumble” the fact that the word game involving scrambled letters is licensed under patent. “Jumble” has been published daily for more than 60 years and is syndicated to hundreds of newspapers. In July 2013, the law firm filed a federal lawsuit in Tampa, Fla., against UClick LLC, computer game maker Destineer Inc., Publishers Clearinghouse, and media giants Tribune Media Services Inc., and Tribune Co. 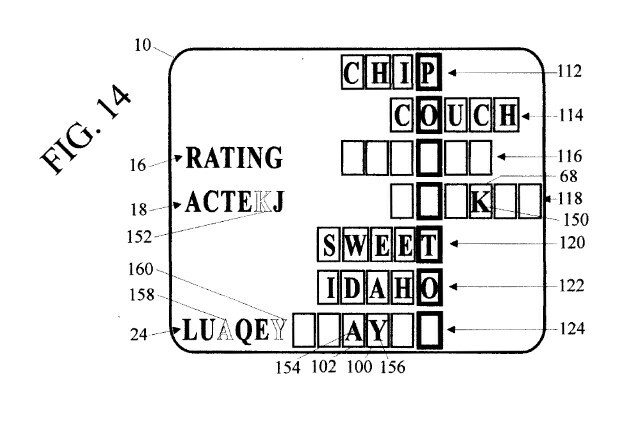 The client, Robert Jacobs, claimed that the companies infringed on his patent for playing an anagram-type word game in computer format. Players of “Jumble” and related games unscramble sets of letters to form words. They then use some of those letters to unscramble the answer to the main clue, which is accompanied by an illustration. Tribune Media Services syndicates the “Jumble” feature to newspapers for print and online use. UClick hosts the online version of the game and has an iPhone app. Destineer sells a version for the Nintendo DS. Robert Jacobs hired Schneider Rothman to protect a patent for that he has held for many years. The two sides reached a settlement in January 2014. Financial terms were not disclosed.